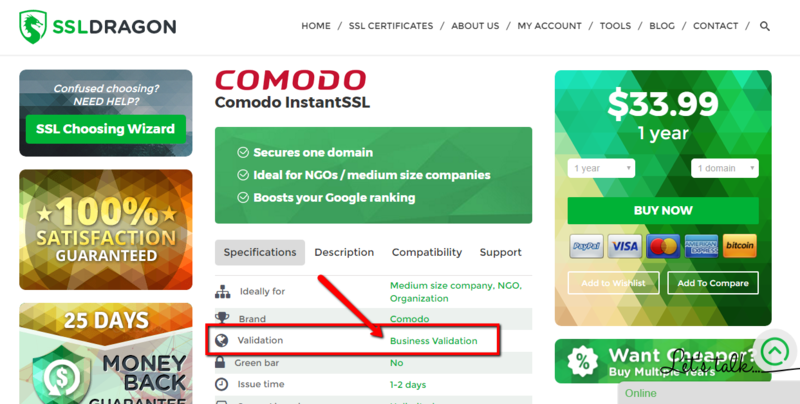 Comodo InstantSSL Premium is a great solution if you need a Business Validated (BV) certificate to secure one single domain (both with and without “www”) for your business website. 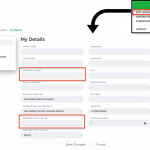 It provides up to 258 bit encryption for every user connecting to your website, offering more trust and reliability. So as it involves company documents verification, the business validation process is completed in 1 or 2 days after the purchase. The Certificate Authority (CA) needs to make sure that your company is trustful and operates at the provided location. After that, the Certificate Authority (CA) issues the certificate to you, which you can instal on your website immediately. 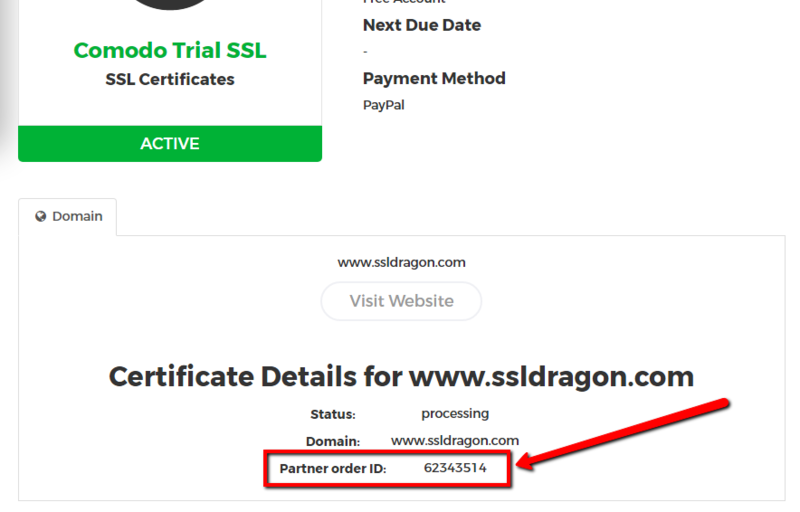 After the SSL installation process is completed, your website will display the following distinctive signs of a secured website: instead of the old gray “http”, the green “https” will be displayed in the address bar next to the green padlock icon. 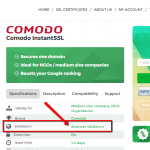 You will also receive a dynamic site seal from Comodo (now Sectigo), which, placed in a visible spot on your website, will confirm your visitors that your business has been verified by a highly trusted and widely used brand in the website security industry. 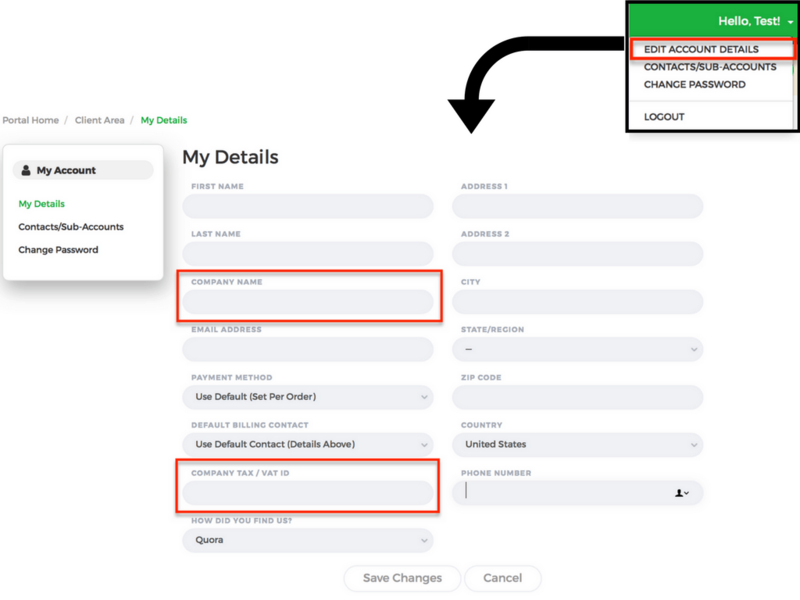 Users will know that they are in good hands when registering, logging into your website, entering their personal information or credit card details on your website. 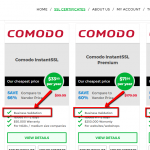 You will also receive a $250,000 warranty from Comodo, together with the guarantee that the SSL certificate you are buying is highly compatible with most desktop browsers, servers, smartphones and other mobile devices. Your website will also benefit from getting a higher ranking in Google Search Engine, according to Google’ newest “HTTPS everywhere” policy. 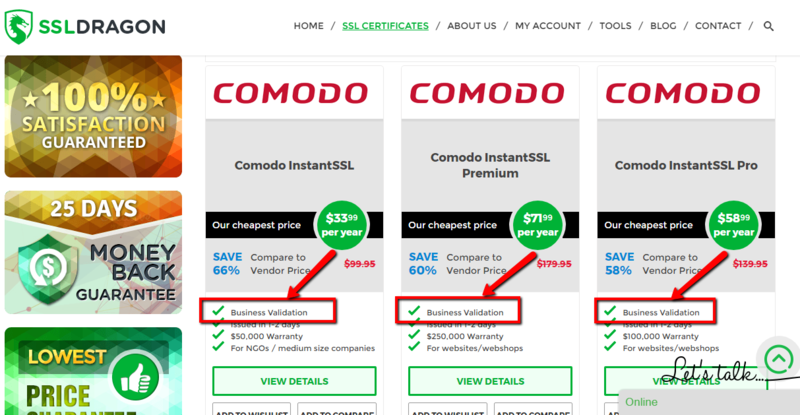 Comodo InstantSSL Premium is the right website security choice for organizations and online shops. Finally secured my IP – Thanks! Very easy to validate. By the way, I really like the dynamic site seal that is included in the product. I proudly display it in my footer. 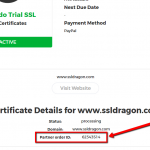 I used the wizard to find out which ssl certificate is the best in securing an IP address. Although I didn’t expected, it was easy to configure and issue. Great choice for securing an IP address!